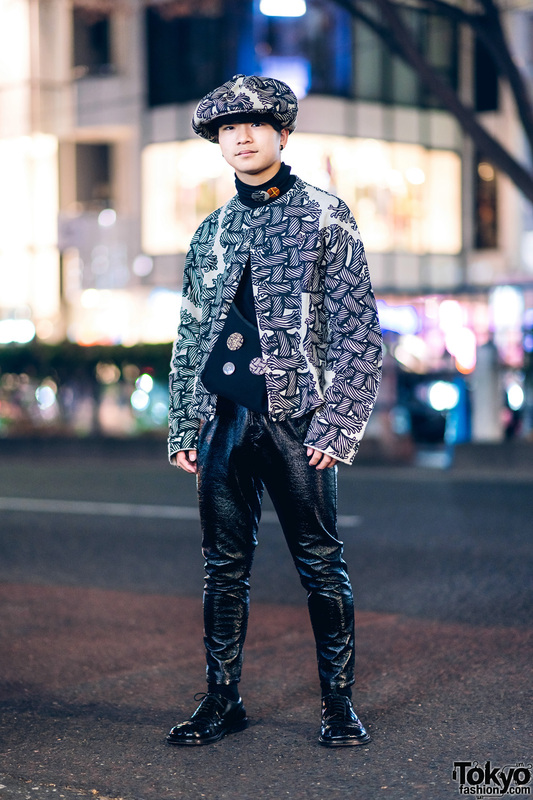 Japanese fashion student and model on the street in Shibuya wearing a blue suit, cherry handbag, and clear footwear. 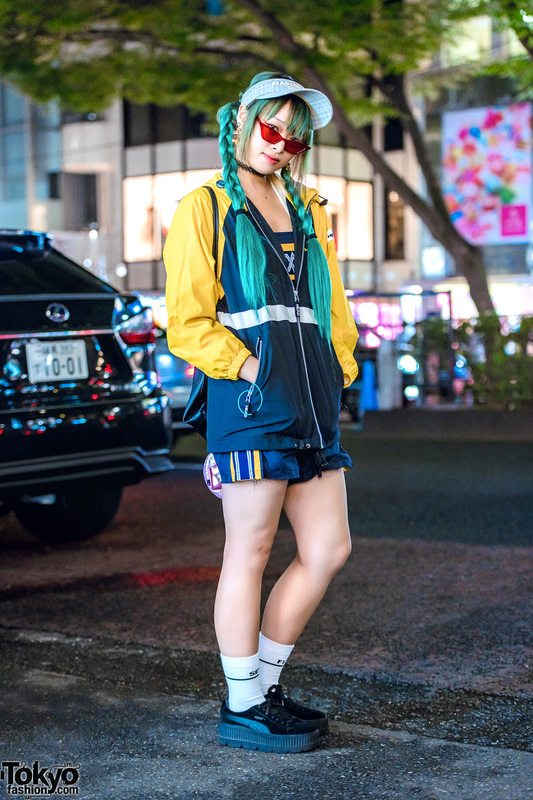 Harajuku girl in sporty chic streetwear. 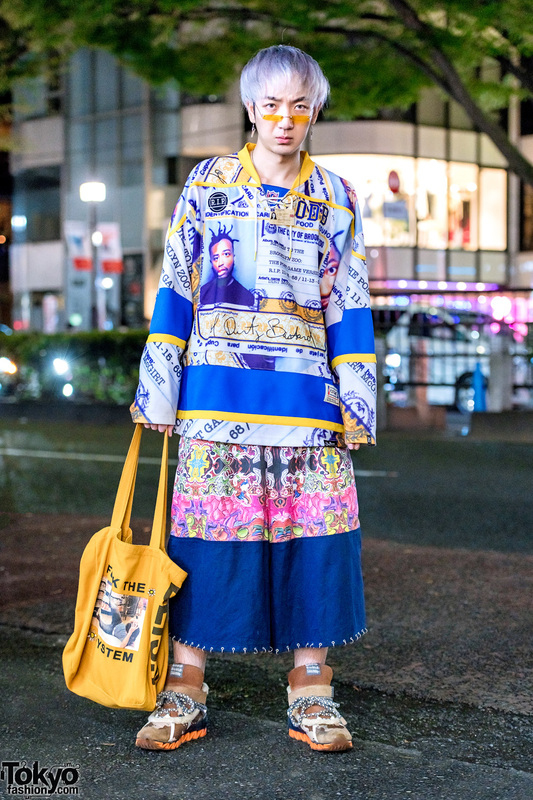 Japanese retail worker wearing a blue graphic print top and yellow plaid pants in Harajuku.